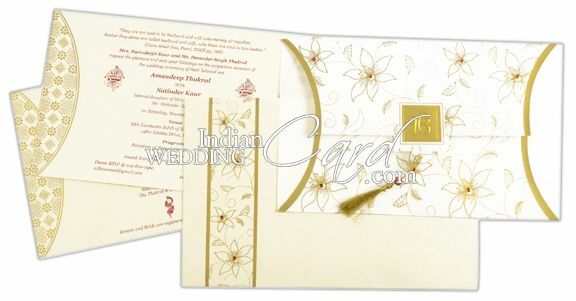 The front of this card has a golden design of floral motifs with kundan work and Ek Om kar hot foil image in window. A golden zari tassel adds to the appeal. 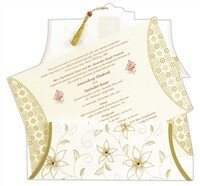 The inserts have golden border design and the envelope has golden floral border with kundan work. 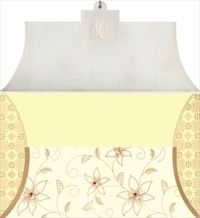 Silk Screen Printing in Maroon Color.Gold color not suggestible , visibility will be poor.